What was the Second Great Awakening? The Second Great Awakening was a religious revival that spread across the United States from 1790s to 1830s. American religious leaders were deeply concerned by low church attendance; only about 10% of the white population was going to church. These leaders encouraged religious revivals across the country. These revivals dramatically altered Christian theology in the United States by emphasizing self-improvement, self-reliance and self-determination. The Second Great Awakening fundamentally changed the Christian faith in America. 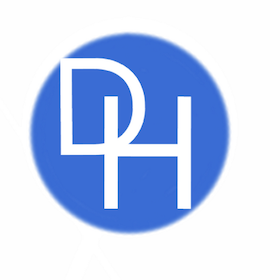 Samuel Hopkins (1721-1803) was a prominent New England preacher and theologist who developed a new understanding of God's nature called the New Divinity. Hopkins was not alone in the endeavor; both Jonathan Edwards and Joseph Bellamy contributed the development of the New Divinity, but Hopkins has become most associated with these religious beliefs. The New Divinity upended long held Calvinist beliefs and argued that people had the right and ability to choose right from wrong. Additionally, a person's holiness and sinfulness belonged to them personally. Hopkins emphasized the importance of free will. People's choices mattered and determined whether or not they would be saved. 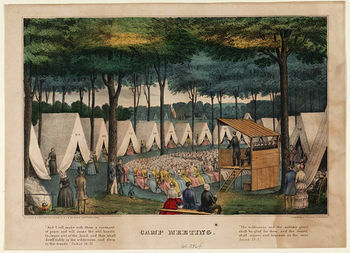 Hopkins died just as the Second Great Awakening began to get underway, but several preachers including Charles Finney spread a modified version of Hopkins' beliefs to the masses. Charles Finney did not start preaching until 1921, but he quickly became the leading revivalist of the Second Great Awakening. Finney preached a version of Hopkins' beliefs, the New Haven theology. He was essentially credited with spreading it throughout the early Republic. New Haven theology emphasized that a sinner is morally responsible for their own actions and not enslaved by the sins of Adam. While God created a moral and judged people, he did not determine the outcome. People had free will and had control over their fate. Finally, Christ's sacrifice was meant to encourage sinners to give up sin and convert to Christianity. While Finney's preaching outraged Calvinists, it was embraced by the public. People were drawn to Finney's beliefs that sin was a voluntary and avoidable act. Finney's also argued that holiness was possible for humans. Unlike Calvinism which claimed that people had no control over their own salvation, Finney claimed that people could avoid hell if they lived good, decent lives. Finney's message was especially appealing to people who were in the commercial and professional classes despite his railing against money and wealth. Still, it should not be surprising that his message resonated because he preached that people had control over their own lives and their salvation. While not all reformers in the early 19th century were inspired by the Second Great Awakening, large numbers of women were attracted to the revival and were encouraged to improve the moral condition of their society. Finney and other ministers argued that Christians needed to improve the world around them in concert with their Christian beliefs. Finney's speeches included a call to action and many people took it to bear. In these new churches created by the Awakening, women in most cases vastly outnumbered men. Engaging in moral reform did not violate the "separate spheres" of a man's and woman's worlds. Women would not be seen as stepping outside of their roles as women while engaging reform. This gave women the freedom to act. Additional notions about female piety and a women's moral superiority convinced women that they had an important role to play. The biggest immediate beneficiary was the temperance movement. Alcohol use was extremely high in the United States at the beginning of the 19th Century. Lyman Beecher started the American Temperance Society in 1826 and it grew rapidly. Within 10 years the American Temperance Society had over 4 million members. Despite the call to action, ministers and preachers absolutely wanted to avoid engaging in radicalism. Advocating for temperance was viewed as reform, but abolitionism was seen as radical. More importantly, they did not want women become involved in "radical" reforms. Needless to say, women did not listen to them. Lyman Beecher's daughter, Harriet Beecher Stowe became one of the most influential abolitionists and authors (Uncle Tom's Cabin) in America. The Second Great Awakening helped fuel abolitionism. William Lloyd Garrison, Theodore Weld and others were inspired by the revivalism of the Second Great Awakening to attack slavery. The revivals were not just limited to adherents of the New Haven theological movement. New religions began to sprout up in the United States. Many of the religions were created in the "burnt over district" of upstate New York, Finney created the term because this part of New York state had been repeatedly criss-crossed by preachers during the Awakening. Joseph Smith created the most lasting and influential of these religions - Mormonism. Joseph Smith had survived doing odd jobs in Palymra, New York. In addition to hiring himself, he also dabbled in treasure hunting. He had even been arrested and convicted of treasure hunting. Still, Smith's life was radically changed by the avocation. 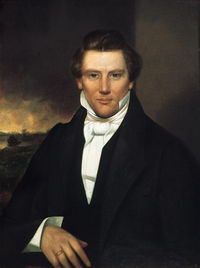 In 1823, Smith claimed he was visited by the angel Moroni. Moroni described a book of golden plates, two seer stones and a breastplate. In 1827, Smith claimed that he found these objects on Cumorah Hill, New York. According to Smith, the book of golden plates contained the writings of ancient Jewish prophets who had migrated by boat to North America before the birth of Christ. The Jews formed to separate civilizations: the Nephites and Lamanites. Smith translated the story of these prophets using the seer stones, but he was required by Moroni to do so out of sight of anyone. After two years of translating the plates, the text became the Book of Mormon. After translating and publishing the Book of Mormon, Smith immediately sought to create a religious community around this story. The Book of Mormon was sympathetic to the poor and downtrodden, and people were immediately drawn to its message and Joseph Smith. Within 7 months, 40 people had joined Smith's religion. By 1835, around 1500 Mormons had flocked to Kirtland, Ohio. The Mormon community would be repeatedly forced to move from town. After Joeseph Smith was killed in the town of Nauvoo, Illinois in 1844, the community was forced to find a more remote spot to avoid conflict with other communities and ultimately re-located to Salt Lake City in 1847. While the story of the creation of the Mormon church is unique, it is just one example of a religious fervor that gripped the United States during the Second Great Awakening. The Second Great Awakening changed Americans' understanding of their relationship with God. The movement rejected Calvinism and promoted the idea that humans not only had freewill but could determine, through their actions, whether or not they deserved salvation. This version of Christian philosophy became widely accepted during this time because it gave people more control over their spiritual lives. It gave them people agency in their own religious lives that Calvinism had denied them. The Second Great Awakening had several significant consequences. First, it provided the spark for the 19th reform movements that swept across the country. Americans, especially women, became active reform movements in anti-slavery, temperance, moral and prison reform, aid to the poor, and the care for the insane. Second, the Calvinism of the Puritans was completely rejected. People became convinced that their salvation rested in their own hands. Third, the movement extolled such virtues as industry, sobriety, and self-defense. These beliefs dove-tailed nicely with the Industrial Revolution that fundamentally changed the American economy. Fourth, numerous new Christian churches were birthed during the Second Great Awakening. Finally, the Second Great Awakening was remarkably successful. New churches were started, and Americans, particularly women and African-Americans, returned to the Christian faith in large numbers. The Second Great Awakening ultimately not only had an impact on American Christianity but on the culture of the United States.